Want to know how to groom a beard the RIGHT way? Thankfully, beard grooming has never been easier than with our simple 8 easy to follow steps to ensure that you get the proper grooming. These tips, tricks and product recommendations will help to keep your facial hair looking spectacular. The perfect beard is ultimately the product of a patient man. While the desire to have the long beard may be overwhelming it takes patience especially when you first start growing out the beard. You will need to avoid styling or trimming in the early stages to give it the four to eight weeks it needs to completely grow out into the fullness that you have been waiting for. This will also give it time to evenly grow and then you will have the chance to choose the beard style that you want to go with. One of the most appealing things about a beard is the uniqueness that it offers which means you want to have the style that is going to work well with your facial shape. You may want to also choose a length and style based on your living environment so you don’t overheat. Many men that realize the amount of work and effort that should be put into grooming your newest facial asset which is why we recommend that you use learn to groom properly. This will help to keep your beard not only looking great but also strong and healthy. For grooming your beard you should definitely check out the Beardilizer shaping comb. This will help to groom and shape your beard perfectly with each try. They can be used with both thick and thin beards and is very durable over time. The comb will help to keep it looking neat and will allow you to easily trim it as needed. Washing your beard is a big part of keeping it groomed properly which should be done each time you shower. Fortunately with products such as the Beardilizer Beard Wash Shampoo will keep it nice and shiny. Scrub your beard on a regular basis to help keep itching and dryness under control. This will also help with exacerbating dry skin and food particles that may find their way into your beard over time. It has been said time and time again that nothing helps to tame and shape a beard better than a quality beard oil. Regular use can help to condition your beard and keep it healthy and styled regardless of what your daily activity level is like. You can choose from a variety of manly scents including but not limited to the Beardilizer Cherry Pipe Tobacco, Maori Ta Moko, Cortes Vanilla and Dirty South Bacon. Whether you have a fragrance preference or want something unscented you can find what you want. By grooming your beard on a regular basis you can learn to maintain the desired shape without any hassle. Training the beard starts with consistently shaping it the same to help create the perfect lines and creases that you want. The sculpting will become easier over time as your beard naturally forms the way you want it to. In addition to washing your beard on a regular basis another basic beard grooming tip would be to keep it as toned as possible. The toning spray keeps your beard nourished and styled at all times. The vitamins and ingredients found in the Beardilizer toning spray is great for keeping your beard long, strong and looking shiny. When it comes to grooming your beard many men don’t realize that also means eating right. While the beard is often made up of fat and protein it also requires various vitamins including but not limited to B3, B5 and B9. So with that being said the way you eat can have an overall impact on your beard as well. To help nourish your beard with the right vitamins you will want to make sure that you are eating lean meats, milk, egg yolks, nuts and a variety of green leafy foods. You can also use the Beardilizer facial hair complex supplement to help get the beard you have always dreamed of and to maintain the healthiness of the beard. Beard grooming may seem like a daunting task but if you follow the 8 easy steps above along with the amazing tried and tested Beardilizer products you will be the envy of all of your friends. You will have the beard that they have all dreamed of having but have yet to achieve. 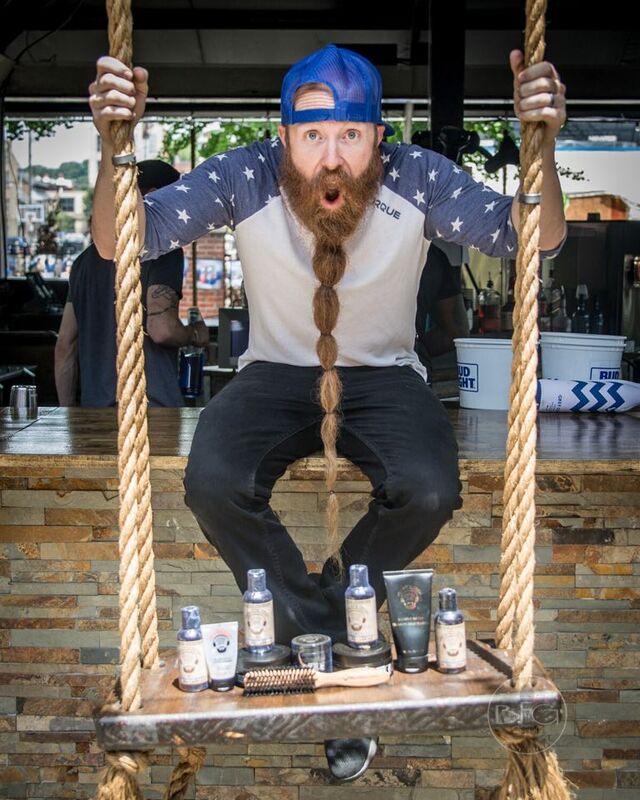 When they come ask YOU how to groom a beard, you know where to send them!